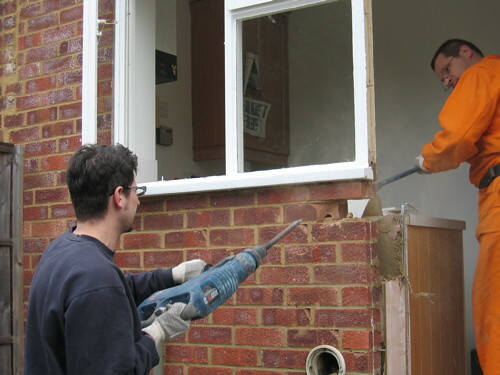 One of the sad truths about making home improvements is that you are unlikely to recoup the financial outlay. Even if the resale value of your home is increased due to your home improvement, it is unlikely to make enough of a difference for you to break even. Add in the cost of a home equity loan (if you used one to finance the effort), and you might find that the financial value is even less. According to the magazine, this is your best bet. On average, you will pay $1,218 for this door. However, it will boost your resale value by $1,243 — 102.1%. Another advantage to this simple fix is that you can improve your curb appeal, making it easier to sell your home. Plus, it is within the realm of possibility that you could save up for your replacement door, meaning that you won’t have to pay finance costs associated with a loan. This is another relatively inexpensive ($1,291) curb appeal enhancer. Add in a keypad, and you could do a little better. The estimate is that you will recoup about 83.9% of your “investment.” And, like the entry door replacement, you can probably save up for the door, and avoid the costs associated with financing a loan. It seems a little strange, at first, to realize that you can do well with all these outdoor upgrades. You might spend right around $11,000 to put in a wood deck, and get close to $8,000 in resale value increases. However, for those who are handy, purchasing the materials and building the deck on your own can save you some money, while still increasing the resale value of your home. You might have to finance your project, though, and that can add to the costs. The great thing about a wood deck, though, is that you can enjoy it yourself before you sell your home. Remodeling Magazine estimates that you can get about 72.8% of the cost of a minor kitchen remodel back in resale value. Do some minor upgrades to the fixtures, cabinets and counters, and you can see a big difference. Get even more bang for your buck by taking care of cosmetic items, like refinishing the cabinets (rather than replacing them), adding molding, or replacing some of the appliances. You can improve your ROI (estimated at 72.8%), spend less than the $21,695 you are estimated to spend, and enjoy the feeling of a fresh look to your kitchen. We’re back outside, improving your home’s curb appeal. If you already have siding, keeping it properly maintained and clean can ensure that you get a better price when you sell. If you don’t have siding, you can get a 72.4% ROI when you add it. Plus, you’ll save money on maintenance costs over the long run — especially if you have had to paint your home every few years. Really, though, your best bet is to make general cosmetic improvements to your home. Fresh paint, adding window treatments, upgrading fixtures, and doing a deep clean for your carpet, can be a real help. Outside, keeping your landscaping neat and attractive, and even putting in garden boxes, can be relatively inexpensive ways to improve the appeal of your home. Simple, small fixes are often those that provide you with the best bang for your buck. On our site I detailed (over 3 long posts about 5000 words in total) all the work we did on our last house to get our 400%+ ROI. We actually painted the exterior and garage doors! Low cost to do that. We had a wood deck we thought was OLD but I took a power washer to it and voila! looked very new again! We also did most of your ‘General Cosmetic’ suggestions + many more! Another investment I’d heavily consider to anyone is getting soundproof windows or energy efficient windows. I got mine done a few years ago from CitiQuiet (fantastic company) and the energy savings plus the tax credit I earned have resulted in a pretty fantastic ROI. It might take a few years for you to break even but if you’re going to be in your home or apartment for a while, it’s well worth it! Definitely agree with the energy efficiency comments- double glazed windows and combi boilers can make a big difference- not just in terms of resale but also in terms of heating/gas bills etc). We were thinking about a loft conversion- it would be interesting to what the ROI is on that (if there is a return at all). Interesting blog. I often find these figures quite puzzling though. For instance, how can ROI on a home renovation be accurately calculated? The very nature of home buying is quite subjective to say the least. What may appeal to one person, may certainly dissuade another… I would argue that these figures seem to be, at most, a best guess given the many variables that can be associated with a sale.